After spending time in clinical departments for the past two months, I took a glance at my first non-clinical department last week. Social and Preventive medicine (SPM) also known as community medicine is regarded as a non-clinical department in Andhra Pradesh and is based on three ideas: prevention of disease, promotion of health, and prolongation of life. While the clinical departments at the hospital primarily take a curative approach to medicine (recognizing symptoms and providing medicine), SPM tries to tackle a disease through preventive, promotive (supporting good health habits), and curative techniques. This philosophy emphasizes the destruction of the disease at the source rather than just the symptoms, and the study of these sources allows for the creation of programs which eradicate diseases. SPM at Santhiram, specifically, is divided into three main subdivisions. The first subdivision is located on the medical college campus and involves teaching undergraduates and post-graduates about public health programs/theories in the classroom as well as research techniques in the field. The second and third subdivisions are referred to as RHTC (Rural Health Training Centre) and UHTC (Urban Health Training Centre); they house interns who work to treat illnesses in rural/inner-city areas and provide preventive health information to patients arriving at the clinics. All three divisions work toward the common goal of learning about disease in small communities and finding the social, economic, and environmental determinants of health. 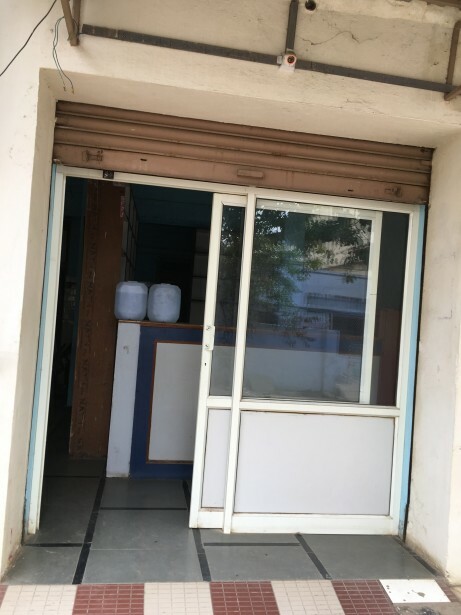 I observed the community medicine department for three days (the remaining days were in Tirupathi at a famous temple), and each day was spent in a different subdivision. The first day consisted of a lecture as well as an interview session with an SPM professor. 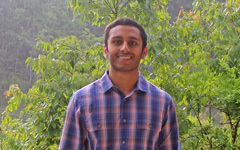 Along with a discussion on global health and public health programs in India, the professor talked extensively about how positive change in health care can occur in rural India. 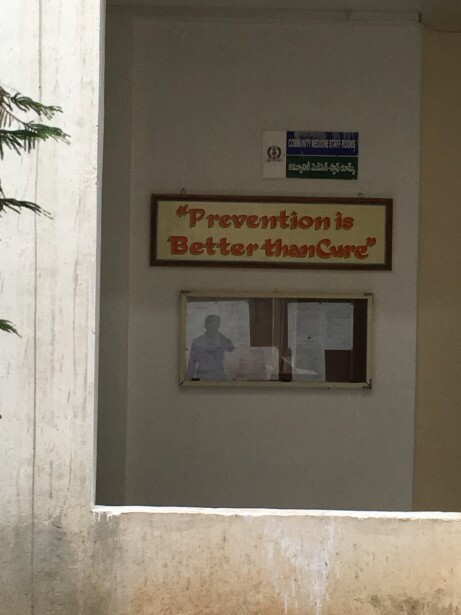 He stated that the health care programs in India are sufficient to solve many of the problems facing Indian medicine, but these initiatives are not implemented efficiently enough to have a positive effect on society. This lack of efficiency arises from government officials usurping funds provided by international organizations such as the World Health Organization (WHO). According to the professor, if the problem of corruption could be solved, many problems affecting the Indian health care system would disappear. Along with corruption, another obstacle to change stems from the reluctance of young doctors to work in rural areas. The professor mentioned that once these obstacles are overcome, India will be regarded as a developed country in terms of health care. In my last two days, I traveled to the RHTC and UHTC for observation of both centers. 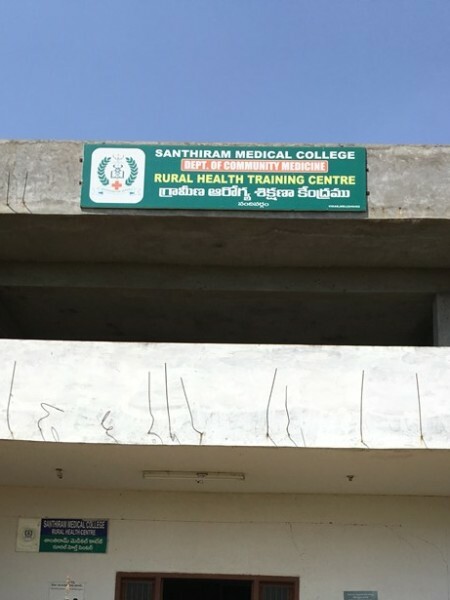 The RHTC was located in a village about 50 kilometers from Santhiram and had a relatively low patient count, while the UHTC was located in Nandyal and averaged about 15 patients per day. Both of these centers treated minor ailments such as fever and stomach upsets and referred patients to the hospital for examinations if the case required further examinations. They also had an OT room for procedures and provided generic medicine to those who needed it. Moreover, all of these procedures were done for free to ensure that financial barriers do not discourage patients in seeking treatment. RHTC, UHTC, and lecture kept me busy in the community medicine department; this week, I will be spending another day in community medicine, a day in the medical records department, and the remaining days in the casualty (emergency room). Look out for another post sometime next week.